The Koolpak ® Bum Bag Sports First Aid Kit is ideal for first aid on pitch, ideal for any sports club playing at any level, leaves you hands free to attend. Bag Size 63 x 19 x 5cm. Refill available. 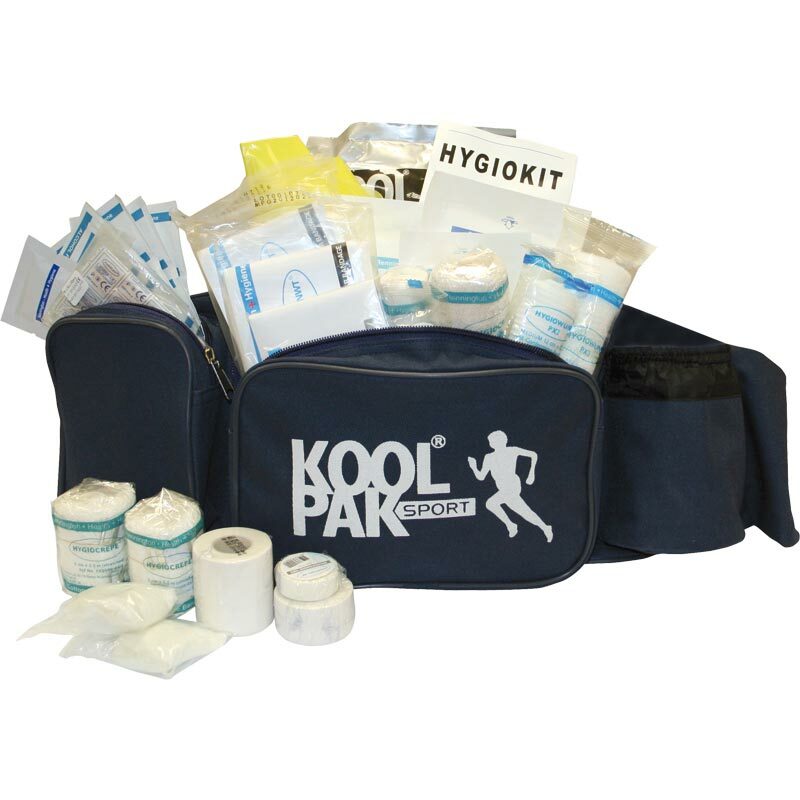 Please search on our website for Koolpak Bum Bag & Sports First Aid Kit Refill. 1 x Conforming bandage 7.5cm x 4 m.
1 x Crepe bandage 7.5cm x 4.5m. 1 x Sports instant ice pack. 1 x Zinc oxide tape 2.5cm x 5m. 1 x Zinc oxide tape 5cm x 5m.